One of the world's most illustrious monuments, the Palace of Versailles was the official residence of the Kings of France Louis XIV, Louis XV and Louis XVI and their courts from 1682 until the French Revolution. Your guide will help you to experience everything about what life was like in the Palace of Versailles, the symbol of the power of the French monarchy. Then enjoy some free time strolling through the palace's stunning grounds and formal gardens. The Palace of Versailles covers an area of over 721,000 square feet and has more than 700 rooms. Follow your guide straight to the front of the line to visit the most beautiful rooms inside the palace: the King's Grand Apartments, with seven rooms dedicated to different gods, and the Queen's Grand Apartments, mirroring those of the king, which include the Coronation Room and the Queen's Bedroom, once occupied by Marie Antoinette, among others. Also, marvel at the sparkling Hall of Mirrors of Versailles, a large reception room in which to see and be seen, dreamt up by the celebrated architect, Jules Hardouin-Mansart. Designed to dazzle the Sun King's visitors, this huge hall with marble and gilded bronze decoration was somewhere to stroll and meet. It was also the setting for sumptuous receptions and royal wedding balls. Your tour will be followed by an opportunity to discover the palace's gardens, the second part of your visit. In 1661, Louis XIV commissioned the landscape architect André Le Nôtre to lay out the grounds and gardens, something that was just as important as the construction of the palace itself as far as the king was concerned. 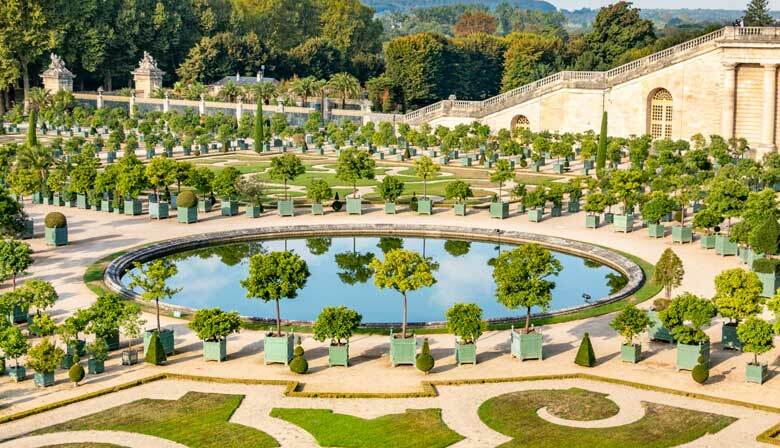 Enjoy your free time and explore the Gardens of Versailles, admiring the magnificent sculpted decoration (marble statues, busts, and vases), fountains, and pools. This was a good combination of accompanied tour and free time. The guide was very good. The palace speaks for itself.